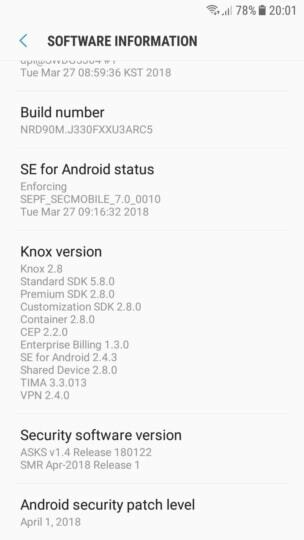 Yet another April 2018 security patch from another company's smartphone and this time it is from Samsung. 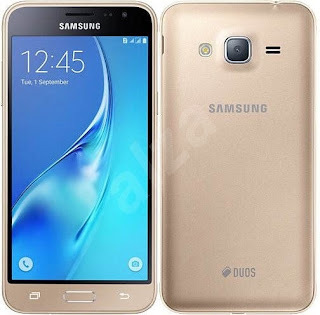 Yesterday on our blog article, we saw the 2018 security patch for Pixel and Nexus and now the Samsung Galaxy J3 is amoung to receive the update. 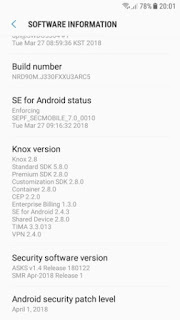 Google update on its smartphone fixed so many bugs and included cool updates for it's users. Now the Galaxy J3 will not only get the Android security patch but also vulnerability fixes. Note that this is not a software update but just a security update on your Samsung Galaxy Smartphone. This Aprile 2018 Androids security patch update has begun in Netherlands and Luxembourg and you can easily check for an update manually if you have automatic check disabled. The update is not yet available in all part of the country but will hit all from time to time.